Applying for a mortgage is much like visiting a doctor, in order for them to give you the all clear you have to complete a health check first. Banks and mortgage lenders don’t say yes to everyone who applies for a mortgage, so it is worth giving yourself a head start and making sure your finances are healthy before you apply. One of the first things a bank or mortgage lender will do when you apply for a mortgage is check your credit score. Your credit score is a record of every loan, credit card or debt you have taken out over the years. The lender will look at all of these loans and how you paid them back. If you took out a credit card when you were twenty years old but missed a few payments, this will work against you and lower your score. Mistakes however can happen and it could be that there is something on your credit record that shouldn’t be there. You can pay a small fee and have your credit report compiled for you by a credit reference company. If there are any mistakes on there, you should go back to the original source and get them removed. If you are a first-time buyer and looking to get a mortgage, one of the best things you can do is pay off any outstanding debts, such as loans and credit cards. It doesn’t matter if you have the odd hundred pounds here and there, but any large debts could count against you. A mortgage lender will look at your income and assess whether you can afford the mortgage and the monthly payments. 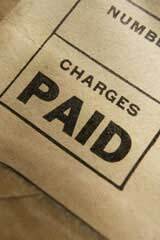 If you have a large debt hanging over you it needs to be paid back as this will detract from the amount you can borrow. Even if it takes a couple of years, it is best to pay off any debts before you make the initial application. The best mortgage rates are offered to those with the highest deposits. If you are a first-time buyer you may be able to find a 90% or even 95% LTV deal, but the rate you will be paying will be high. The larger the deposit you have the less risky you appear to the mortgage lender and the higher your chance of securing a good deal. You should think about asking your parents if they will help you with a deposit and you pay them back over a period of time. If you have any savings, these should also go into the mortgage deposit pot. Typically, deals with an LTV of 70% or less offer the best value for money, but if you are able to find a 10-20% deposit, this will put you on the right track. The area and type of property which you want to borrow on can also determine whether a mortgage lender views you as a good risk. New build apartments have a notoriously bad reputation among some lenders, who view them as a risky investment. This is mainly because over the years they have fluctuated in price because there has been so many of them built. Properties in desirable locations will always be looked on favourably. So will those that are easy to sell on, such as a two-bedroom flat or a small terraced house. Before you buy think about whether it will be easy to sell on. If you want to better your chances of being accepted for a mortgage you need to shop around and don’t give in at your first no. There are numerous places you can go to find a mortgage, such as a mortgage broker, comparison site, or direct to the lender. There is nothing to stop you from visiting a few sources and comparing what they can offer you. Remember, a bank can only sell you their products, so you are not getting the whole picture. A mortgage broker is a good option, but make sure you choose one that either offers whole of market advice or doesn’t charge you a fee for looking. Sometimes the bank you hold your current account with will offer special rates or deals for those that bank with them. Although it is becoming increasingly harder to get on the property ladder, you should not give up. You just need to prove to the bank or mortgage lender that you are a good risk and somebody they want to invest in. There are three key ingredients when applying for a mortgage, which include a good credit, score, a deposit, and a method paying back the debt – such as a job. If you have all these there’s a good chance the lender will say yes.